Welcome to Hotel Piccola Vela Desenzano del Garda. Hotel Piccola Vela becomes one's private residence... 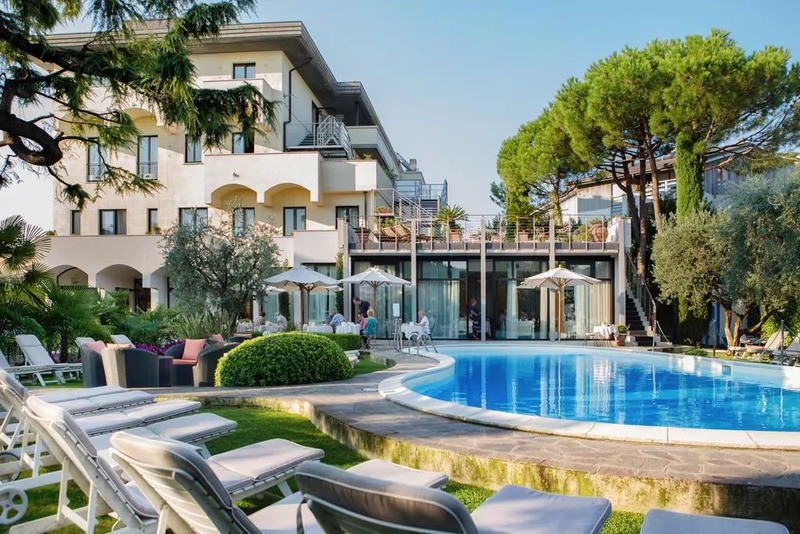 Traditions outlive right in the heart of Desenzano del Garda and where kindness marks a familiar reception, the hotel becomes one's private residence. Every room catches one's glance full of admiration. Immersed in the atmosphere of a park of olivetrees, one's heart can find peace and enjoy tranquillity: only reflections of water in the beautiful swimming-pool can momentarily bring a dream back to reality... And moments of a lifetime spent in the elegant dining-room as if it were a private residence. And the secret values of Lake of Garda and those of its people, its wines and its olive-oils are reborn and shine today as they did yesterday and so forth for all eternity...and you feel at home. Next to the lake, open all year long, the Hotel Piccola Vela offers private garage, parking area, meeting room with a seating capacity of 25/30 people. (Hotel Piccola Vela Desenzano del Garda hotels).